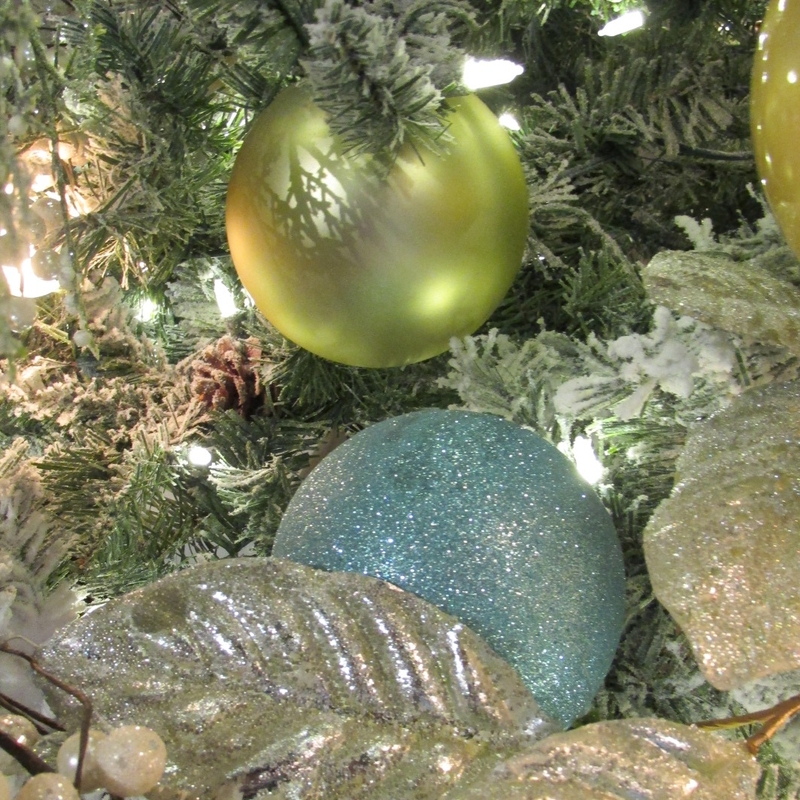 Our Holiday Division is the most prestigious interior display firm serving Northeast Ohio. Our Corporate Holiday Contract Program offers yearly or bi-yearly new designs. 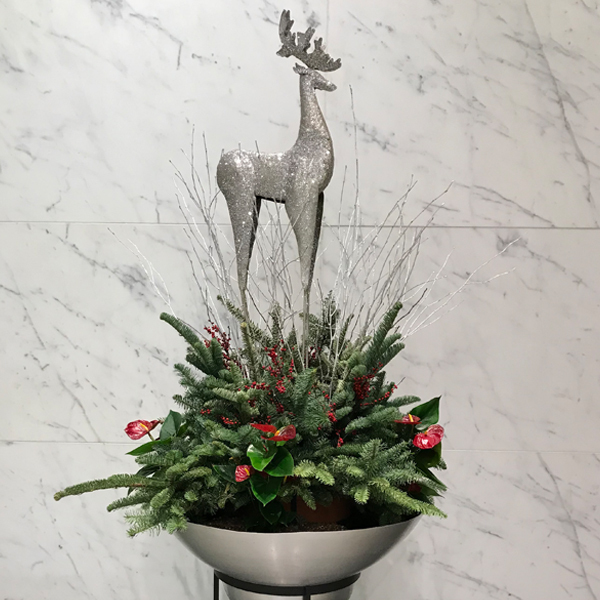 We carry the spirit of the season into your space to spread holiday cheer. Our designers utilize ornaments and accessories to present displays that can’t be found anywhere else in the city. Whether it’s a forest of trees or a group of vibrant poinsettias, we can create a joyful season in any space. Sensitive to diversity, we always create appropriate compositions. Our designers utilize ornamentation and accessories that can’t be found anywhere else in the city. 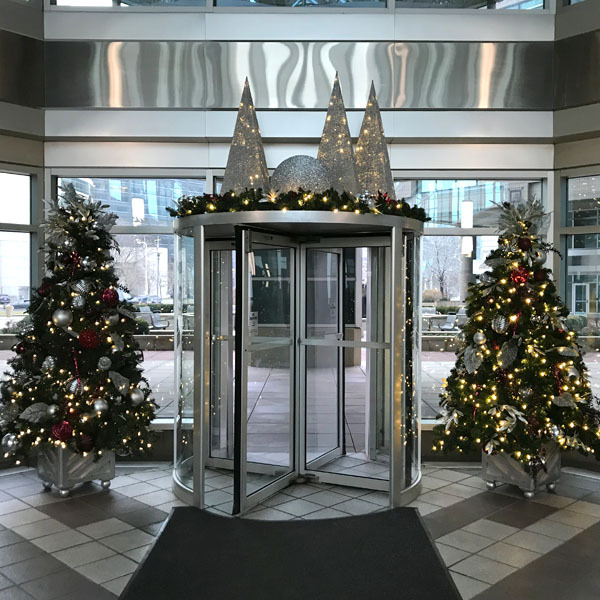 We can transform a soaring lobby or a corporate office into a winter wonderland to suit your taste and budget. 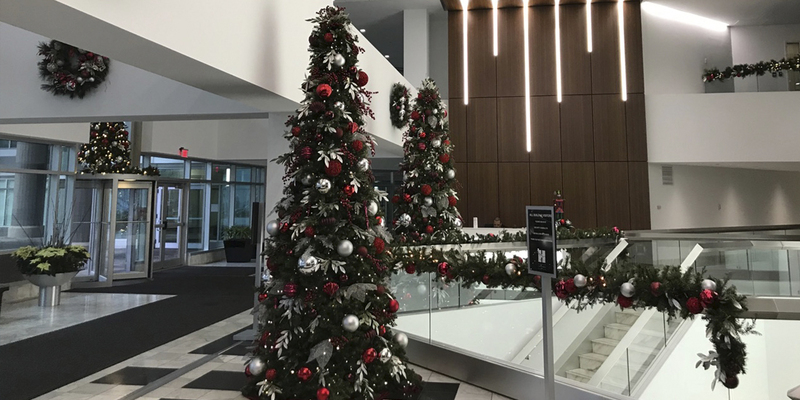 Our goal is to deliver, install, dismantle, and store holiday decorations reflective of YOUR definition of holiday spirit – for your place of business, lobby, hotel, hospital, or home. 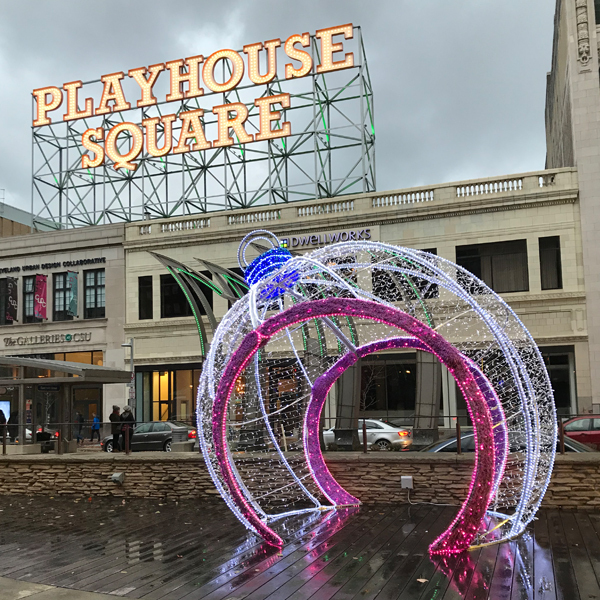 Whether your selection is a welcoming wreath, colorful poinsettia, or an intricate themed seasonal display, we tend to every detail, from the initial gem of an idea to the final, spectacular transformation. Our year round Holiday Showroom welcomes your visit.